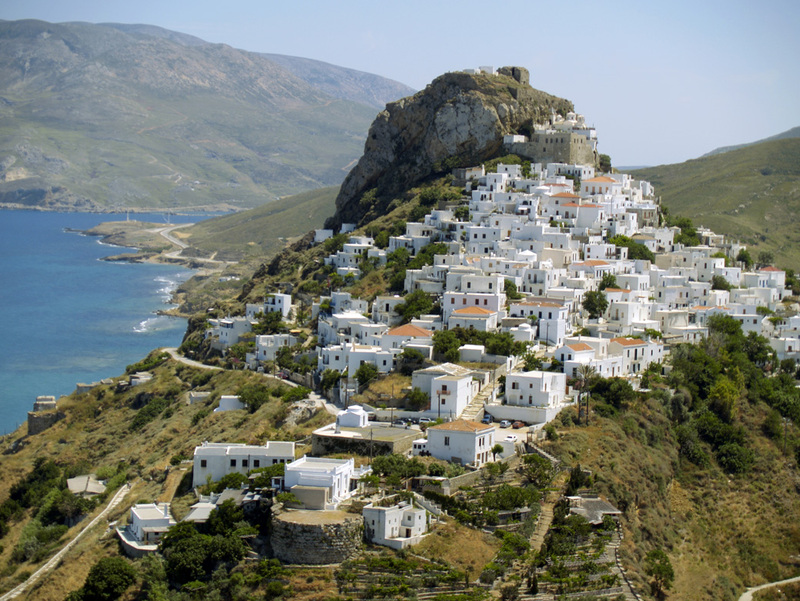 Travel to Skyros, live the experience! Experience the island, through the tradition! 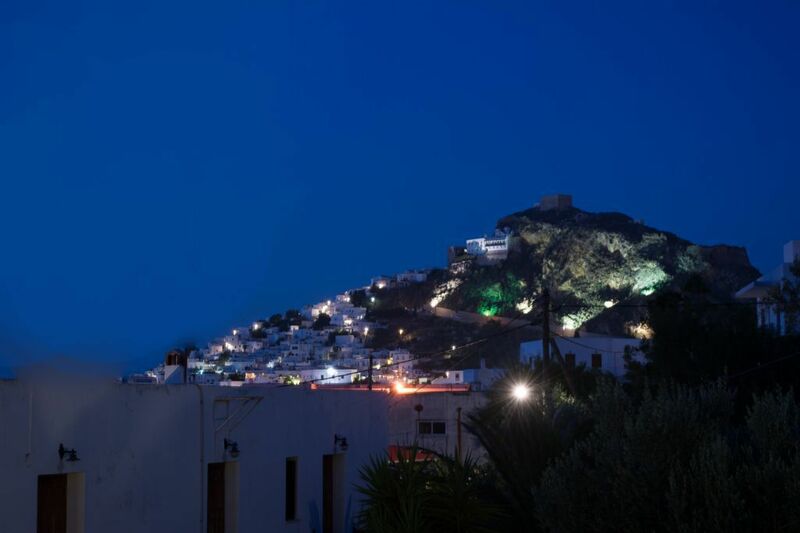 Our sunlit double rooms, located on the first floor, have terraces in front of the entrance with splendid views to the village and the Castle above, and private balconies at the back with views to the mountain behind. 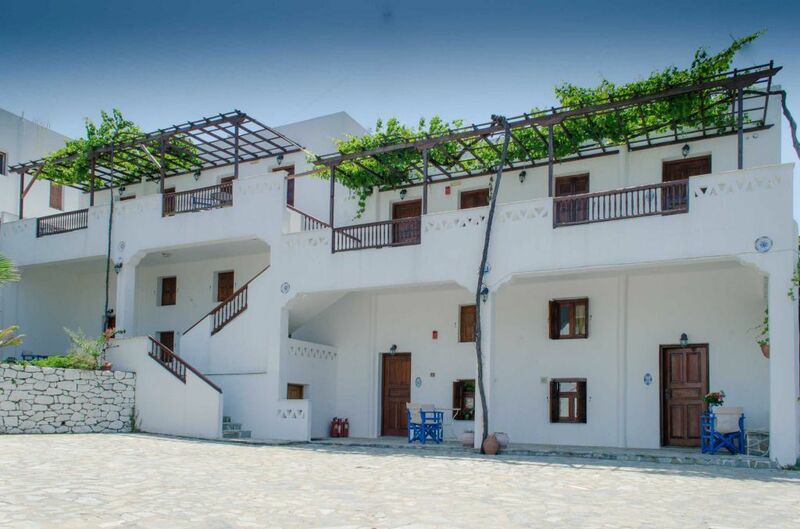 The rooms are well equipped with a small kitchen area with refrigerator and cooking facilities. 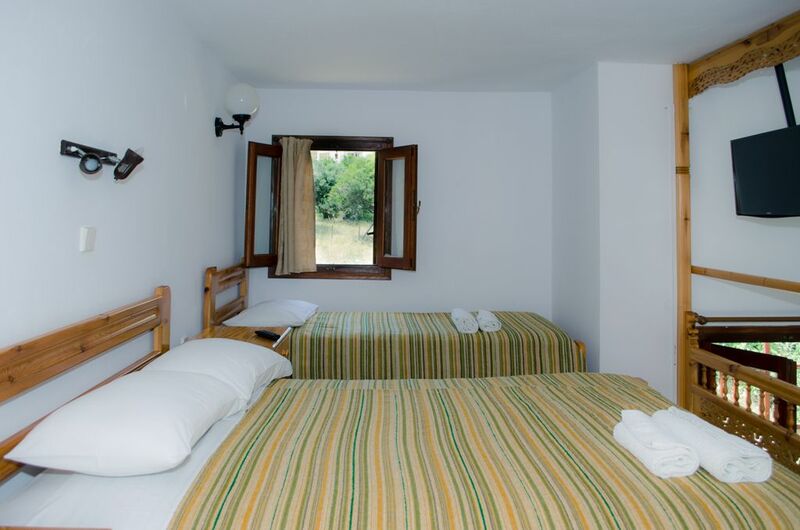 We can offer these rooms with two single beds or one double bed upon your request. Other amenities are listed below. Please contact us with any questions or special needs required. 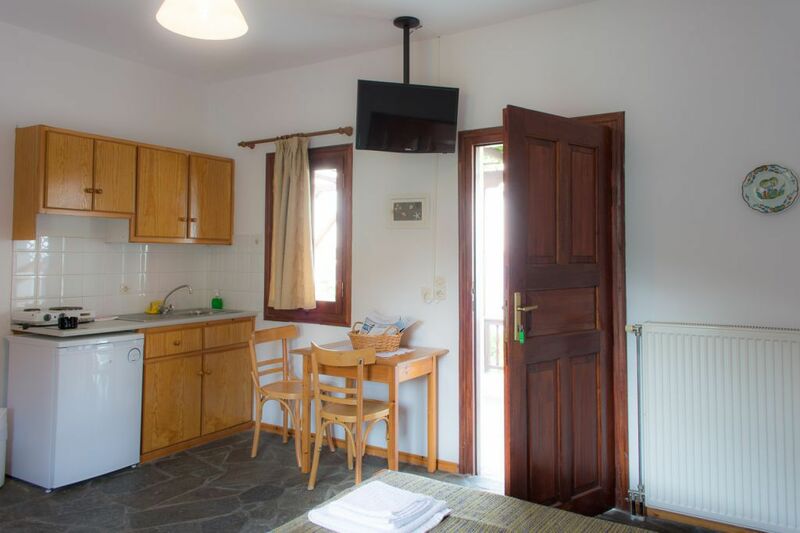 Our triple rooms are located on the ground floor of our pension with a beautiful private garden terrace at the back with a breathtaking mountain view. We have incorporated the Skyrian tradition of a hand-carved wooden S’fa (sleeping loft) with a double and a single bed. Downstairs is a living area and under the Sofa is the bathroom and the kitchen, equipped with refrigerator and cooking facilities. Other amenities are listed below. Please contact us with any questions or special needs required. 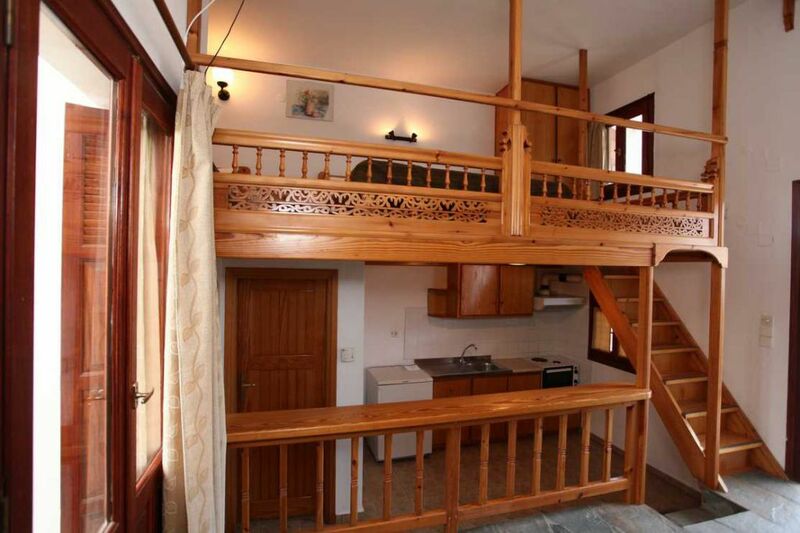 The Four Bed Studio is similar to the Three Bed Studio, but there is a sofa in the downstairs area that can become a comfortable single bed for the fourth person. The wooden Sofa with its intricate traditional design gives a special atmosphere to these apartments. Other amenities are listed below. Please contact us with any questions or special needs required. 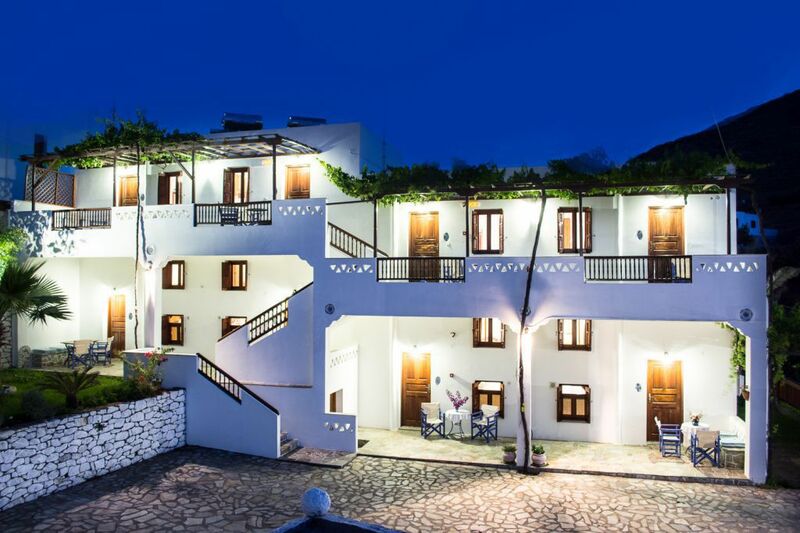 Nicolas Pension was built in 1998, renovated in 2008 and all the timber joinery and cabinetry was locally made by the owner, Mr. Nicolas Tsalapatanis. 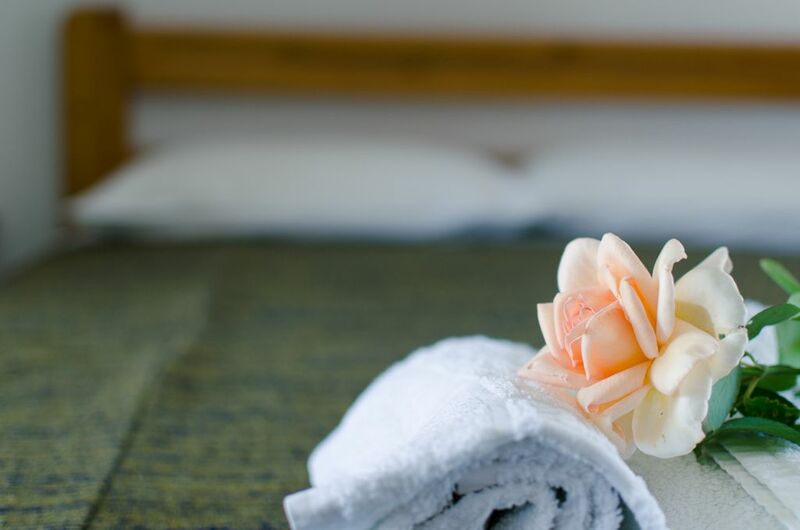 Our rooms are located in a quiet peaceful area, offering you the opportunity to be close to the village (around 15 minutes walking distance up to the central square) without the noise of the village. We also have private parking on site. © 2019 Nicolas Pension. All rights reserved || Created by Enteracto.